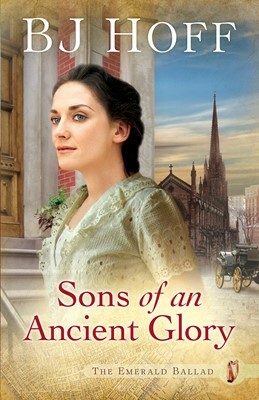 In Book Four of her bestselling The Emerald Ballad Series, BJ Hoff continues to build the drama and excitement of her sweeping mid-19th century Irish American saga. In Ireland, poet, patriot, and schoolmaster Morgan Fitzgerald is locked in conflict with his closest friend’s rebel son—who steals the heart of Morgan’s adopted daughter. Among the streets of New York, Pastor Jess Dalton and his feisty wife, Kerry, continue to battle against poverty and persecution while taking the Gospel to both the powerful and the poor of the city. Readers will be swept into an epic tale of life and death, heartache and victory, all the while revealing the ancient, enduring glory of an entire people.